Seychelles is one of the partner countries of the Collaborative Actions for Sustainable Tourism (COAST) Project. The COAST Project is a Global Environment Facility (GEF) funded project with the United Nations Environment Programme (UNEP) as the implementing agency; The United Nations Industrial Development Organization (UNIDO) as executing agency in partnership with the World Tourism Organization (UNWTO). The project aims to demonstrate and support the adoption of best practice approaches for sustainable tourism that reduce the degradation of marine and coastal environments of trans-boundary significance. Tourism is one the main pillars of the Seychelles economy. The sector contributes at least 25% to the Gross Domestic Product and provides approximately 15% of direct employment. During the past decade, the industry has grown substantially with new tourism products coming online and achieving record numbers in terms of tourist arrivals. Over the recent years, the sector has increasingly recorded the highest number of visitors. For instance, statistics for 2012 shows a record with just over 208,000 visitors, the majority from France, Germany, Italy and Russia which account for 60% of the total visitors to the country. The growth in tourism during the past ten years has also resulted in more pressure on the local resources of the country. As a result of this, the Seychelles Government has had to balance between needs of economic development and the ever rising need to lessen and mitigate the negative impacts of such developments on the environment and its natural resources. 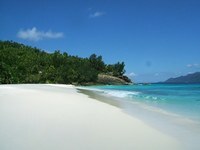 This has led the country to shift its focus to market Seychelles as an eco-tourism destination. As a result of this initiative, the tourism industry in Seychelles has become more conscious of sustainability principles and practices resulting in the discovery of more nature-based attractions, products and services within the tourism attractions. As a fragile ecosystem, the Seychelles archipelago belongs to one of the major biodiversity hotspots in the world. Approximately 47% of the country’s landmass, and some 228km2 of its ocean territory, are under some form of protected status. However, Seychelles’ biodiversity remains at risk from a variety of human induced pressures; making the conservation and sustainable use of biodiversity to be of vital importance for the country’s sustainable development. In this regard, the Seychelles Government’s decision to adopt the Seychelles Sustainable Tourism Label (SSTL) sought to ensure continuous sustainability of the country’s most vital sectors; tourism and the natural resources it depends on, the environment. So far, five hotels have been certified with the SSTL label, they are the Constance Ephelia Resort and Spa; the Berjaya Beau Vallon Bay Resort and Casino; the Hanneman Holliday Apartment. Two other hotels, the Kempinski Seychelles Resort and the Banyan Tree Seychelles successfully assessed and received their certification on 21st September, 2013. There are also a number of hotels that have expressed interest in the label and are at various stages of preparation of accessing the label. Getting hotels to apply for the label involves various correspondence, meetings, and explaining the criteria and their benefits. As a form of encouragement, the smaller establishments are provided with free technical assistance by the Government. The concept behind the development of the Seychelles Sustainable Tourism Label (SSTL) originated from the Tourism Department, Ministry of Tourism and Transport work in the preparation of Vision 21, a national blueprint, which entailed a comprehensive Tourism Master Plan 2001-2010 and the Seychelles Eco-Tourism Strategy for the 21st Century (SETS-21). 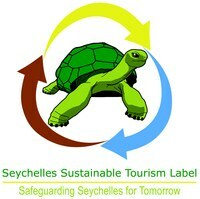 The Seychelles Ministry of Tourism and Transport adopted the SSTL project in 2004 (and later the Seychelles Tourism Board in 2007) and conducted preparatory research on sustainable tourism Labels. As a follow up, a committee of key stakeholders was established and a set of preliminary criteria developed. The draft criteria were piloted by the STB but the SSTL award scheme could not be implemented due to lack of financial resources. After some 5 year lull, the SSTL project gathered steam towards the end of 2009 through a UNDP-GEF supported initiative to mainstream biodiversity management into production sector activities. Management - This section includes policy, monitoring, health and safety. It requires some sustainability documentation that will ensure the hotel’s sustainability initiatives are undertaken systematically. Waste - Waste has a number of potentially serious environmental impacts including posing risks to the health of guests, staff and local communities. Waste reduction is therefore a widely understood and visible form of sustainable practice and presents a good opportunity to foster support from all the stakeholders. Reducing, Reusing and Recycling are effective ways of cutting business costs. Water - The broad aim of good practices in water use is to reduce the amount of fresh water used by hotels. This reduces the impact on fresh water supplies as well as the potential for water pollution. As with waste, the first step is to reduce water use through conservation and rainwater collection, and then to explore options for water reuse and recycling. Energy - Energy typically comprises up to 50% of a hotel’s utility operating costs. Reducing energy use is the area that is likely to have the most significant financial benefits to an enterprise. Energy reduction practices can consist of ‘management’ practices that change staff and/or guest behavior in order to reduce energy use. Conservation - Most sustainability practices focus on reducing the negative impact of a business on the environment or the community in which they operate. The community and conservation criteria reflect the fact that an important part of sustainable tourism is to make a positive contribution toward the local community and toward local conservation activities. Staff - Staff and guest-related practices are of significant importance to the sustainability of a hotel enterprise and of tourism in the Seychelles. The Staff criteria aim to recognize fair treatment of staff and staffing opportunities given to local people to reduce staff turnover and encourage loyalty. Community - A hotel can get recognition for its community participation and conservation practices, only if it keeps all the record of such activities. This may include receipts or letters of gratitude from community groups, photos of conservation work, or testimonials from community members. 8. Guests - The guest criteria recognize the importance of guest satisfaction to the sustainability of the business. Satisfied guests go home and recommend Seychelles to their friends. Word of mouth is one of the most effective forms of tourism marketing. Clearly, adopting a green label is not without its challenges. Although the Government of Seychelles is even offering financial concession by waiving taxes on the importation of energy efficient appliances for instance, this is still not a significant enough as an incentive to encourage all the hotels to work to get certification under the label. Some of the smaller hotel operators still feel that they should not have to pay an application fee to participate in the scheme, and need more concessions from the Government. In addition, for such sustainability schemes to succeed, it is important for the country to lay in place proper supporting policies, facilities and infrastructure, in line with the requirements of such a label. A good example on this issue is the requirement by the SSTL that all participating hotels should separate their waste into various components (organic and inorganic). This criterion is proving to be a problem to execute since the country lacks adequate waste recycling facilities locally which would have benefited immensely from the readily sorted raw materials. However, the government is aware of this and is working to address it. Finally, to ensure the effectiveness of such a label, various things have to be taken into consideration. Like the SSTL, which was developed in line with the Global Sustainable Tourism Council criteria, the label should be aligned to such a widely recognized and respected framework, making it easier for such a label to be recognized and adding to its global credibility. It is important to also set in place an independent Awards Panel to endorse the certifications and to assure transparency for the programme. The label also requires a strong awareness creation and capacity building programme at the initial stage of the project to generate more interest and buy-in The COAST Project is indeed proud to be associated with the Seychelles Sustainable Tourism Label, and acknowledges the label as a useful Best Available Practice that can be easily replicated within tourist destinations in Africa and beyond.